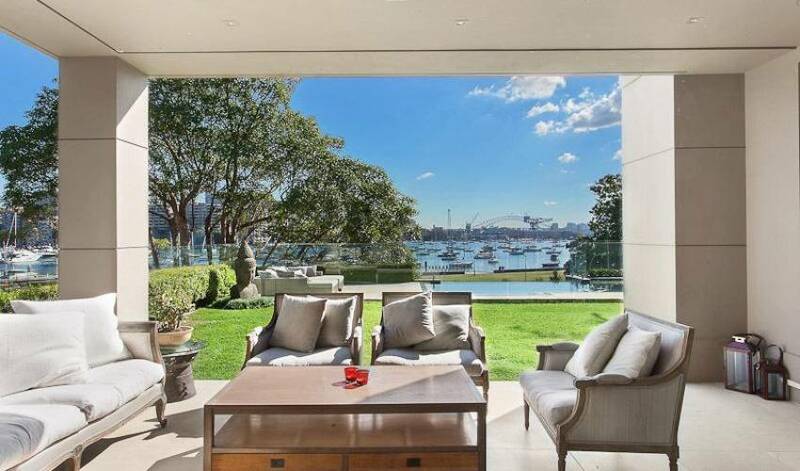 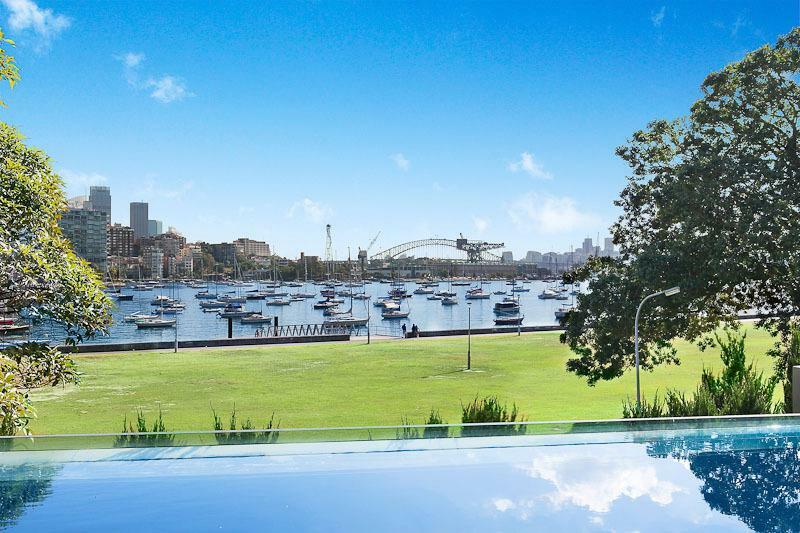 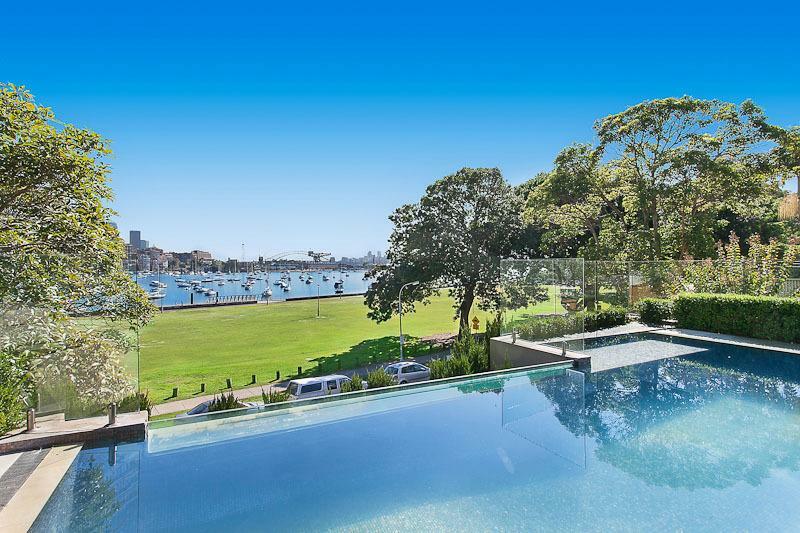 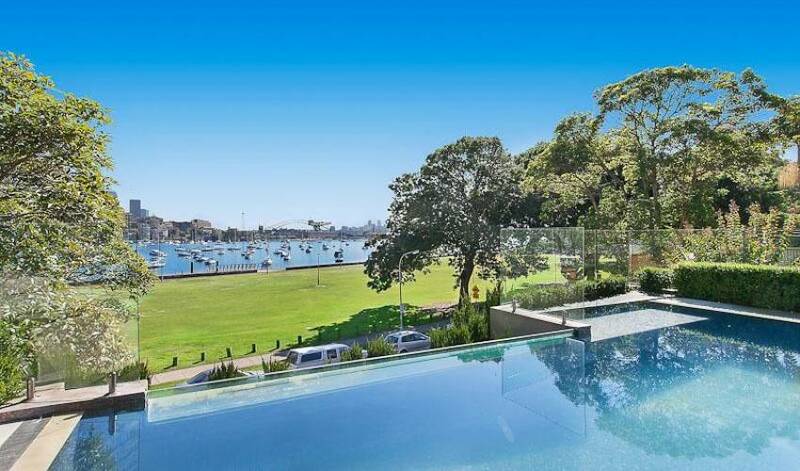 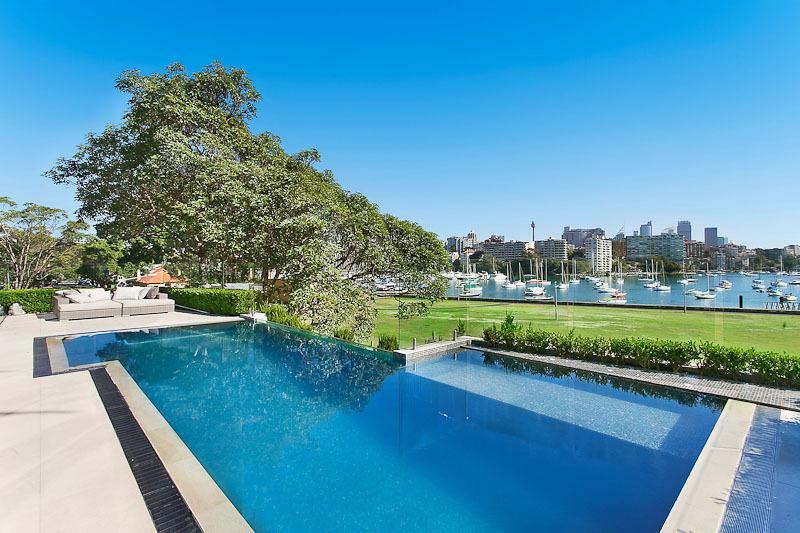 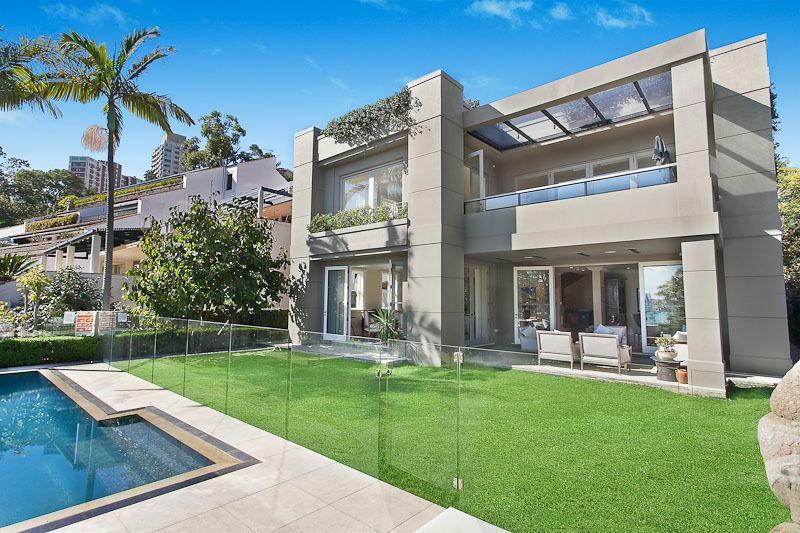 Opulent Direct Harbor View 5 Bedroom Darling Point Mansion. 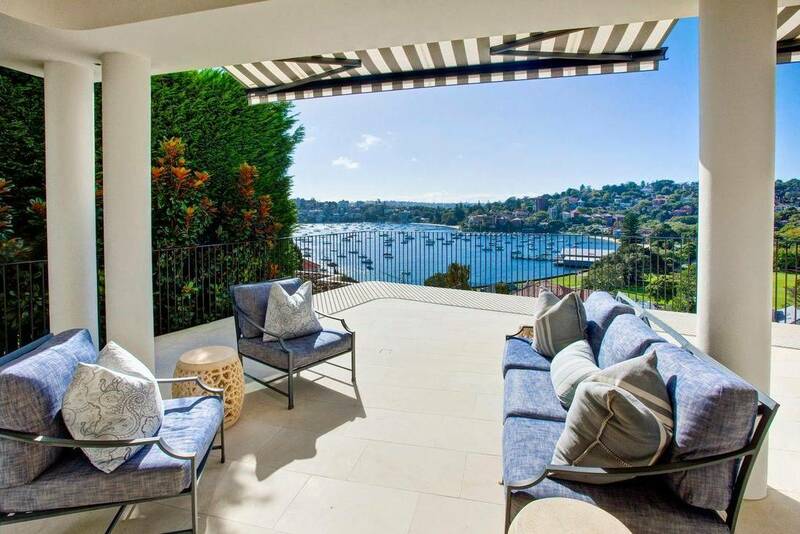 This luxurious property is 5 bedrooms with 3 bathrooms and a powder room. 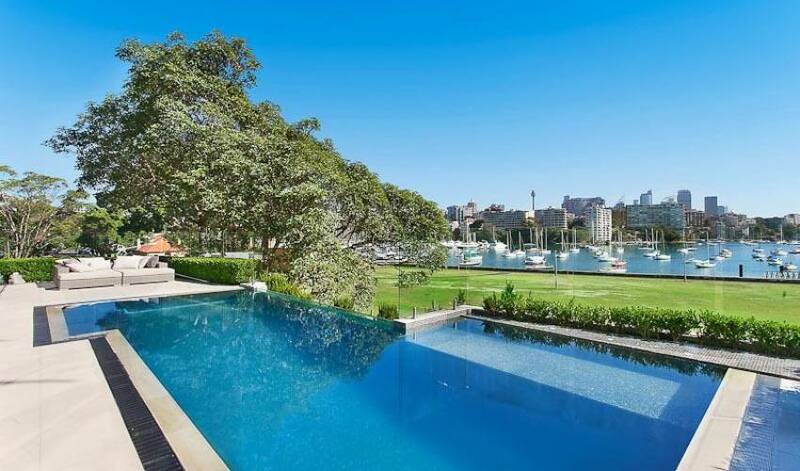 It has a formal lounge and dining area for 12 + with adjoining library and well appointed butlers pantry with wine fridges Gaggenau coffee machine dishwashers ect. 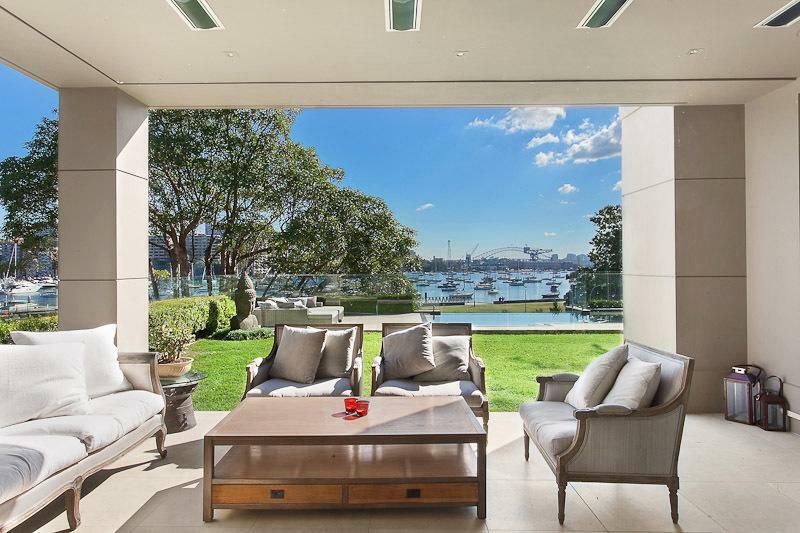 Formal areas lead to a garden and undercover lounge areas and glass edge pool looking over the harbour and city. 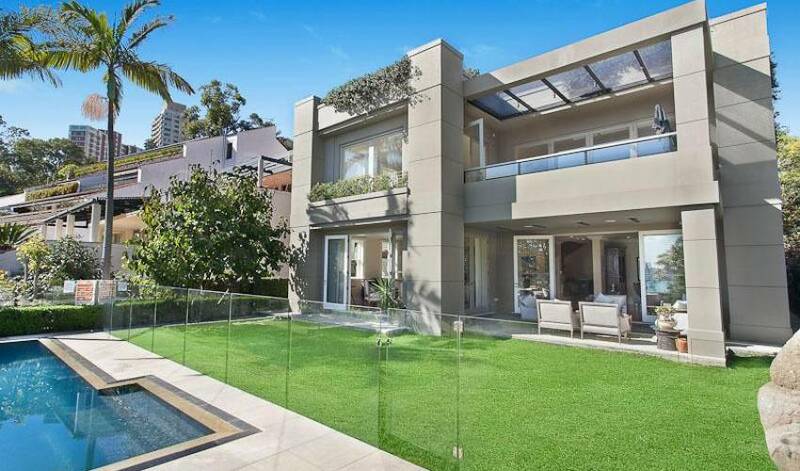 Rear informal areas incorporate two tv lounge areas , Informal dining room , full catering Gaggenau kitchen with inbuilt Liebherr refrigerators and freezers and wraps around a private courtyard with dining and lounge areas. 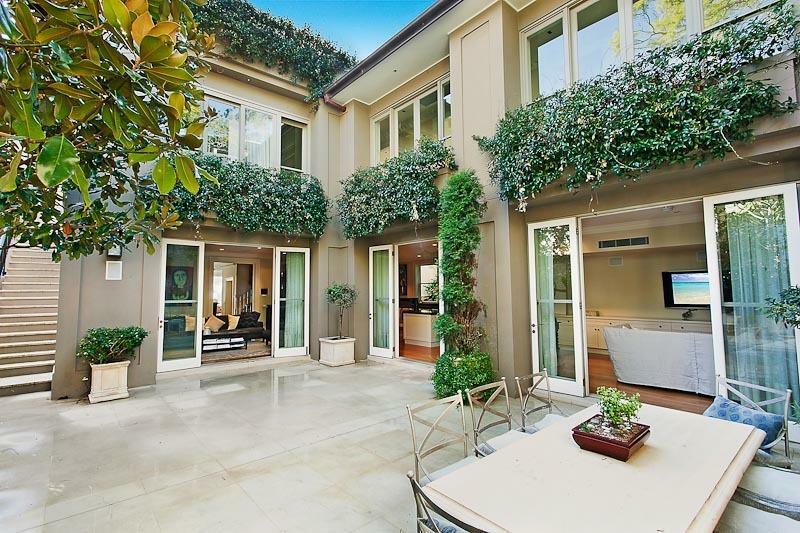 Gym and cellars and 2 car garage are in ground floor areas. 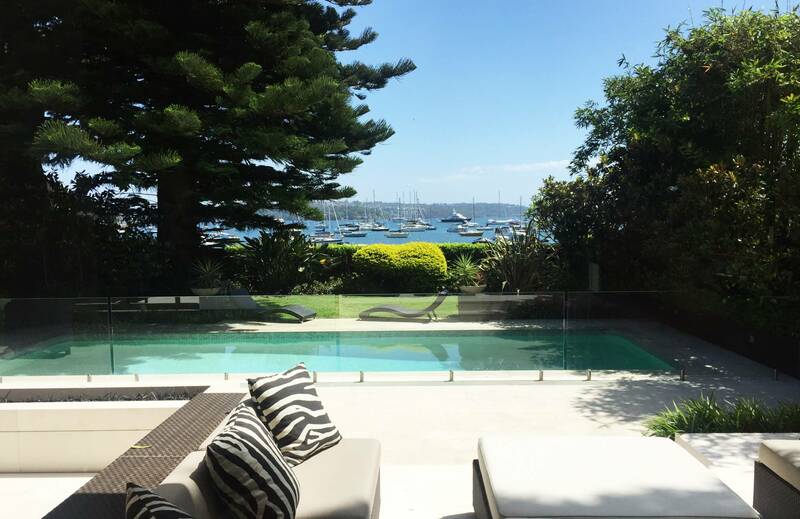 4 bedroooms on 1st floor one has ensuite and others share a large mastrer bathroom with indoor / outdoor rain shower sunken bath with glass fish pond wall. 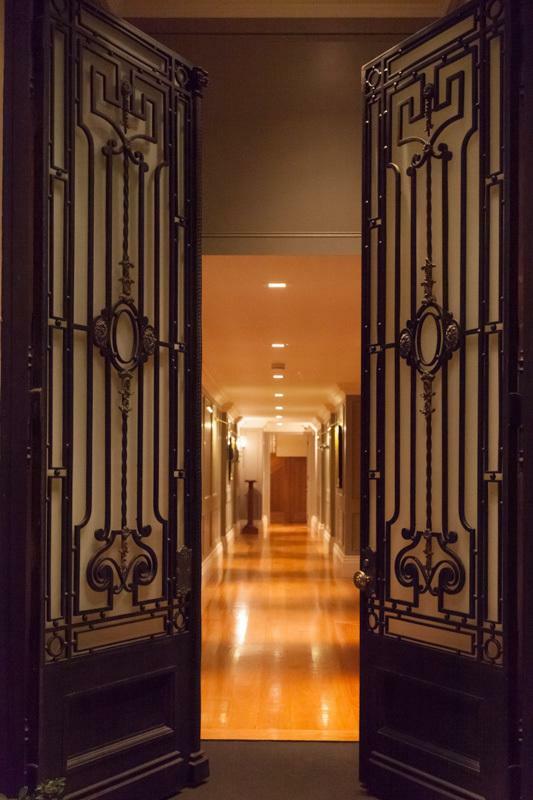 Master suite has private terraces and extensive master bathroom with dressing room , separate toilet , double rain shower leading to private garden and double sunken marble bath. 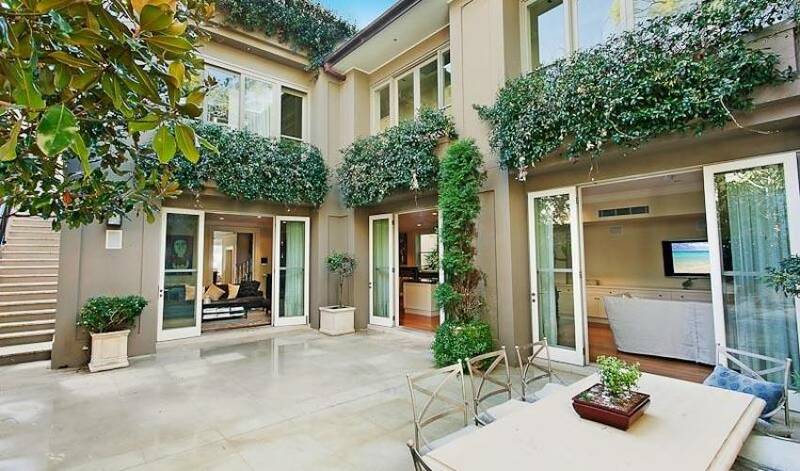 3 further bedrooms on the top floor with 1 queen room, 1 queen and 1 queen. 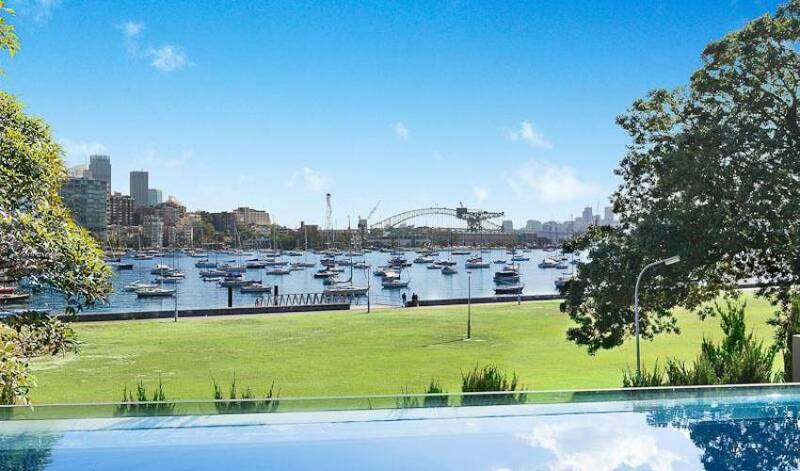 A study or 5th bedroom is on the living level with double bed( Not available on standard rentals unless negotiated use/surcharge paid at time of rental). 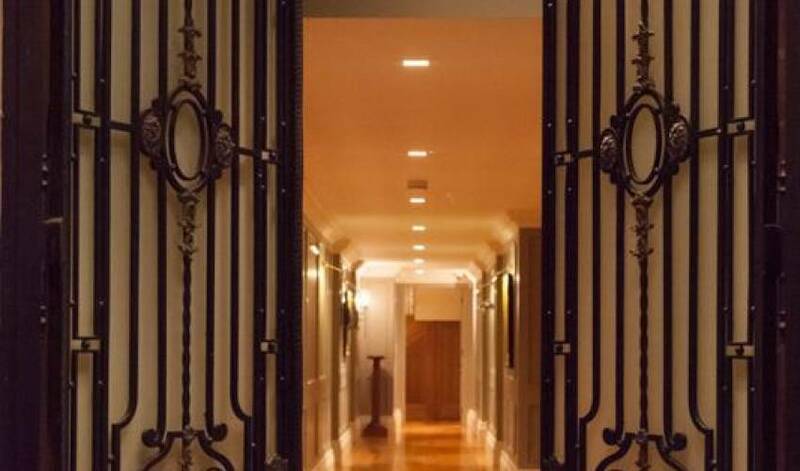 Full sophisticated home automation for lighting music streamed to all areas and high security including cctv .and elevator access from the foyer and garage areas.